Automobile industry is undergoing rapid growth, and ‘more intelligent connected car solutions’, ‘customizable contents’ and ‘innovative interaction design’ have become the breakout points in the industry. On 16th September, PATEO was awarded with the second prize of 2017 Satellite Navigation and Positioning Science and Technology Award at the 6th China Satellite Navigation and Positioning Service Annual Conference. As the only award set in the industry, Satellite Navigation and Positioning Science and Technology Award aims at encouraging groups with special contributions to research, innovation, development, promotion and industrialization in Chinese satellite navigation and positioning fields. Satellite system related technologies and applications such as positioning, navigation, remote sensing and communication were shown and thoroughly discussed through this year's annual conference. Many specialists in this field, including the first chief designer of BeiDou Navigation Satellite System (hereinafter referred as BDS), 'Two Bombs, One Satellite' Achievement Medal and National Science and Technology Award holder, Mr. Sun Jiadong, as well as academician of China Engineering Academy, Mr. Qi Faren, who is also the chief designer for Shenzhou manned spacecraft, participated in this conference. PATEO stood out with its intelligent infotainment system (which is for pre-installed passenger vehicles), and was awarded with the second prize. This shows the huge progress that PATEO has made in satellite navigation technology applied on passenger vehicles. PATEO is among the first connected car enterprises which started working on global navigation satellite system (GNSS) for domestic passenger vehicles in pre-installation market. As a top Chinese connected car enterprise with rich R&D experiences and complete industry chain, PATEO has developed a series of products including BDS / GPS dual mode system, BDS / GPS / GLONASS / Galileo multi-modes system, INS / GNSS combined system, smart IVI (in-vehicle infotainment system) that is based on RTK ground-based augmentation systems, as well as intelligent V2X IVI that is based on BDS high-precision positioning navigation. 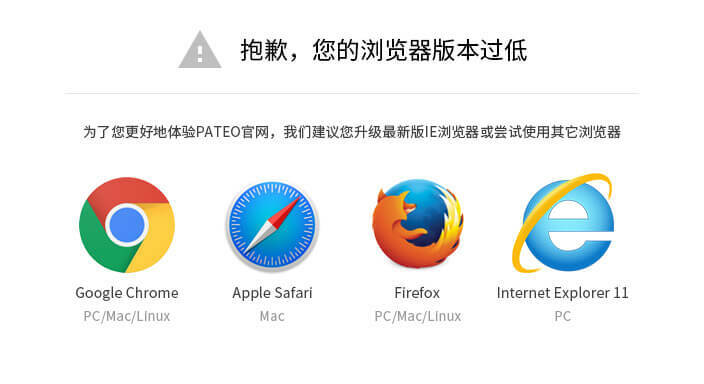 PATEO is also the first enterprise who launched the real-time traffic based navigation product and established real-time and big-data-based dynamic navigation platform. Now, PATEO is one of the few connected-car services provider whom is capable of providing comprehensive products and services such as automobile electronics, lower-layer infrastructure development, operating system, APPs, connected automotive eco-systems (both at home and abroad), mobile link, telecommunication operation service, HMI and user interface design, TSP platform development and operation services, cloud computing , content integration and operation service, map engine software and cloud structure development, local voice and cloud voice solutions, PAAS platform, V2X technology, AI, etc. Until now, PATEO has won 32 world's and Chinese 'firsts'. The annual performance of PATEO is spiraling up rapidly. In the past three years, PATEO has invested nearly CNY 700 million in R&D, and will keep investing 28% of its annual revenue on development. In the era of intelligent transportation, it is an inevitable trend for vehicles to connect with Internet and for 5G technologies to get a role in the development of connected car industry. PATEO, the only enterprise which can provide end-to-end solutions to connect Internet with automobiles, is far ahead of other players in terms of the planning of V2X and 5G technologies. Now, PATEO is capable of providing technical supports to Chinese government on autonomous driving technology development as well as the realization of national intelligent network strategy with its comprehensive self-innovated technical achievements. BDS, an independently developed and operated satellite navigation system of China, is featured with real-time navigation, rapid positioning, precise timing, location reporting and short message communication services. As a space infrastructure of national significance, BDS can effectively solves the problems concerning vehicle information security and communication blackout in map when vehicles are in areas with limited network coverage. After the launch of BDS-3 (planned date on 29th September), service with higher positioning accuracy will be guaranteed. PATEO is the first one who applied BDS technology in passenger car field, and by taking BDS's technical advantages in navigation, V2X communication, telecommunication and remote sensing as well as PATEO's expertise in connected car field into full play, PATEO is making self- driving a source of interest to the non-autonomous vehicles, and accelerating the progress of new automotive technology. In addition to the innovation in automotive technology, PATEO is also innovating business practices. More brand new business ideas are enabled by the establishment of PATEO big data cloud platform, or inspired from the establishment of collaboration with partners from various backgrounds, such as Baidu DuerOS, ETCP, UAES, Nuance and so on. 'Bridging the gap between Internet and Automotive Industries' is at the core of PATEO's mission. This award shows the recognition of PATEO's achievements in the past, and greatly encouraged PATEO to carry forward its mission and forge ahead into the future to grow stronger through active collaboration with industrial pioneers. 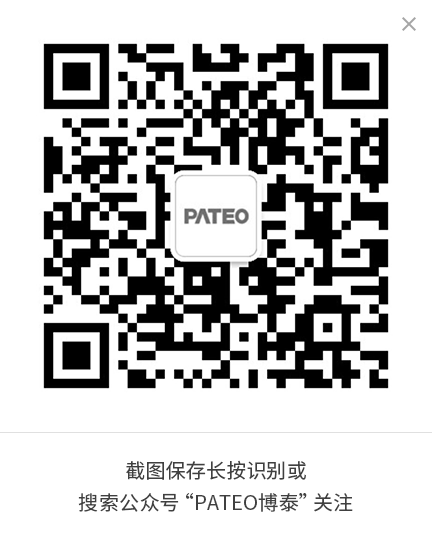 PATEO aims to continuously providing users with better products and services.